» 2003 Love Me Madly? Themewise, this was going to fit and promote the 'Live At The Dome DVD" recorded the previous year. It featured a combined photo on the front - one blurry photo of the stage including Oakey, which I made even more blurry + added alot of light, to give it a mystical appearance. Another image (of the crowd) were added on top. The crowd were lifted out of the photo, to give me a vector image, I could now toss and turn as I wanted. The guy in the middle, pointing in the air is a guy called Ian Fribbance - a huge fan, I've had the pleasure of meeting a few times - he had no idea he were going to grace pretty much every merchandise item during the tour. The band did a photosession to promote the tour, so this year around I had around 100 professional and brand new photos to work with. 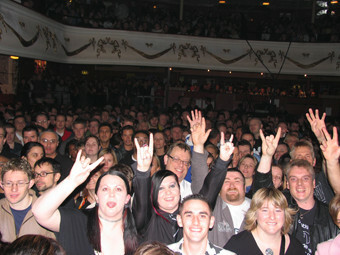 Furthermore had David Beevers (their sound engineer) requested fans on the messageboard, to write about experiences with seeing the band live. I don't think at that point anyone knew what it was going to be used for, and asking on the board, didn't gave any replies. The many incoming replies suddenly ended up in my mailbox - it was a great idea. Size: 240 mm x 340 mm. 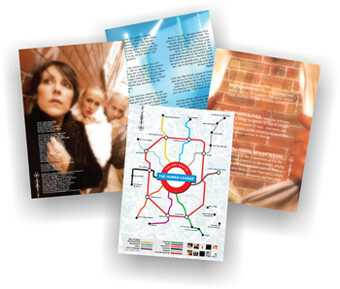 Apart from artwork and photos, the programme included 3½ pages of fan text. Other credits included Will Scott for live photos. 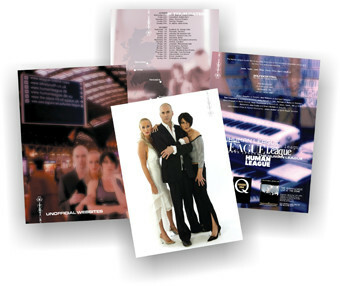 The front were also used as the sleeve for the Live At The Dome releases. 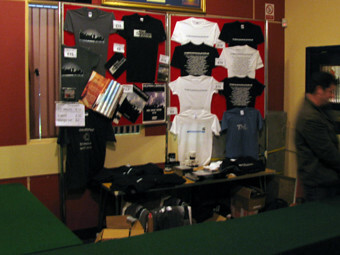 Merchandise sold during the tour. Nutty fans recreating the pointing fingers as seen on the DVD and programme front.